After a long time and many requests I finally present how to link PayPal to FNB to withdraw your money. Originally I wanted to show you another way to do this through Payoneer, but Payoneer no longer allows you to withdraw money from PayPal. This will be an easy tutorial, but setting up an online banking profile for PayPal as a non-FNB user does have some complications if you had an FNB account in the past. No matter how long ago it has been! This tutorial from lsdev shows you how to link your PayPal account to your FNB bank account for business purposes. Your personal details such as address, I.D. number, etc. Now click on Register right at the top next to the Username textbox. Now you have the option of choosing for yourself or your business. I chose for me. You are presented with four options. Choose to the one that is correct for you. I chose I do not bank with FNB. Fill in some more details. Number 5 is important and you should remember your User ID and Password. Now you can tick that you agree to the Terms and Conditions. Once you’re happy with the information, you can then go ahead and click the Confirm button. This is where having an account with FNB 10 years ago came to bite me in the bum. It wouldn’t let me open the account and said I should contact them or visit the nearest FNB branch to sort things out. Luckily this blog post explains how to deal with this issue. Let me know if you have any problems opening your account, but be warned if you have ever had an FNB account before! Log in to your FNB account at www.fnb.co.za. Click “PayPal Services,” then select ‘Menu’ again. Complete the instructions to link your accounts. You’ll need to log into your PayPal account to confirm that you are the account holder. Follow the prompt to complete the withdraw request. I get an error saying some fields required are not valid. The best thing would be to visit a branch near you an explain your issue. This particular process from FNB is troublesome. That is unfortunate. Contact FNB on their Facebook page to see if they can help you that way. the FNB site don’t even want me to register. It keep saying a problem occurs in yellow. or my id and other things, but once i say submit if sent me to a page asking again for my ace nr and pin I only wan t to with draw my money out of pay pall. really frustrating and fmb’s numbers font work. to the call centers. Hi Kurt. Please help!!! I have completed all the steps up to where I clicked finish after the linking steps but it doesn’t give me the option of ‘Withdrawing to Paypal’. This is very urgent as I need the money I have on Paypal. I am a freelance writer which means there will be more coming that I wouldn’t be able to access either. I desperately need assistance. Thanks. Please unlock the content here for steps on how to withdraw money from PayPal once you have a FNB account. Thanks for the help. The “Unlock the content” thing is very annoying. 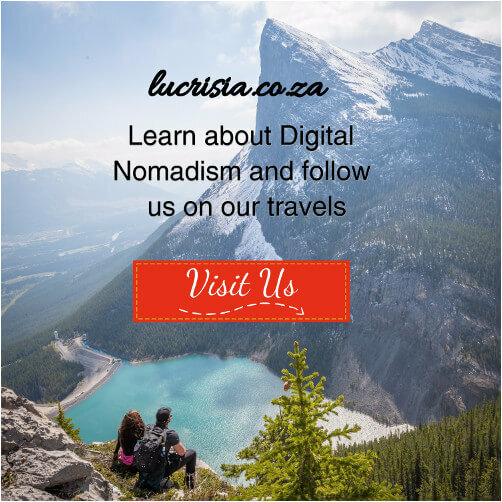 There are better ways to gain exposure to your site/blog. Helpful nonetheless. Hi Kurt, thanks for the article. I’ve completed all the steps above but I can’t withdraw funds – I can enter my Capitec Global One details, it then gets submitted for verification, which fails. I’ve seen people saying on the Capitec Facebook that you *can’t* withdraw funds to Capitec, which would have been great to know before I made multiple trips to FNB to get an online banking login working. Sigh. Is there any update on this or can it just not be done? Has anyone actually succeeded here? You can withdraw your funds from PayPal using an FNB account. If you don’t have an FNB account you can still withdraw those funds by creating an FNB online banking profile. You cannot withdraw funds from PayPal directly to Capitec. You can only make purchases by linking your Capitec card to your PayPal account as a credit card. Just registered today. There’s an additional field on page 2 of Details No 4 for source of funds, so Marketing is now 5. 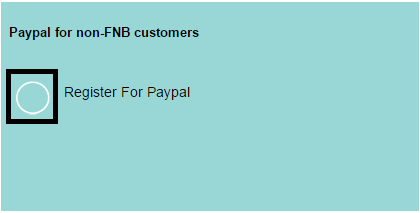 FNB confirmation page “Register for PayPal Services” asking for documents but doesn’t say where I need to present them. Have emailed them to ask, as I can’t seem yet to find a link on-line to PayPal. Can you explain the process after one has registered of how one links to PayPal or am I jumping the gun here? Fast forward to today. It’s not as simple as it seems. Took me a while to figure out how to upload the docs for FICA. Got it right second time yesterday. Got sms confirmation from FNB docs approved. Then logged in to complete details and add my bank acount, This took about 5 attempts as they give you an Error if something not right but don’t say what is not right. Had to figure out by going through details with a fine toothcomb (eg there’s a way you enter your phone number and I was doing it wrong.). Finally got PayPal linked but when I wanted to withdraw, the page was not showing a bank account. After 4 attempts and much searching I finally found a message stating they need 24 hours to verify my non-FNB bank account before I can transact. It’s a lesson in extreme patience! Thanks for updating us on your progress and experience. I’m glad you finally figured it out though. Could you please elaborate on where you uploaded the FICA docs? Also, what format the phone number needs to be in? This will help others when they try to complete this tutorial as well. I’ve had a look at the app and there seems to be no way to do this via that route. You will have to use a computer and a browser to follow these instructions. So what I’m getting is if you have a fnb account u can link it and withdraw your money no prob? I just linked my account now to fnb but i cant see the paypal acc under my profile…how do i withdraw it? It takes 24 hours to verify your non-FNB bank account before you can transact. Have you managed to withdraw your funds already? Hi Caroline (: What is the right way to upload the FICA documentation? Do I just need to send a Proof of identity, residence and banking? Thanks for the post Kurt. My online banking session timed out before I had a chance to get the details regarding emailing my FICA documentation to FNB. Could you please guide me on how to set up the email, and give me the email address that I need to send it to? I’ve asked Caroline to elaborate on what she knows. I’m an asylum seeker living in SA since 2010 and I was sadly surprised to find out that I can’t connect my PayPal account to my FNB Cheque account just because my asylum seeker permit is considered as a passport and I should instead update my identity details with a “residence permit” number. In case I’m mistaken, can someone suggest me what to do? I think you should visit an FNB branch near you to solve the problem. What if I had a fnb account ages ago .. why wouldnt it let me register .. I think it is a flaw with FNB’s system. You will have to go into a branch near you to rectify it. I went into FNB today knowing that I had an expired FNB account from 4 years ago. The lady at the counter was doing here best but after 2.5 hours, 3 phone calls and 3 attempts to register for Paypal as a non-FNB account holder later……. I ended up having to open an FNB account which took like 5 minutes. I don’t even know what account it is it was that quick but I’m sure it will cost me some extra cash. Do yourself a favour and just open whichever account the sales person tells you is cheapest. It makes me wonder if they do this on purpose to make you a customer. Kurt, I’m surprised that nobody seems to have a problem with the “reason” (BOP) code when setting up the transaction. The list of codes supplied by SARS is rather restrictive. I’m setting up a store sourcing products from the USA and selling only into the USA with the proceeds going into my PayPal Wallet. There is no code that accurately describes my business. FNB states that if there is no code describing your transfer, you can’t use this facility. Who knows what the alternatives are? That is a good topic to explore. Here are the terms and conditions including a list of available BOP codes, their descriptions and required documents you need for them. Hi Kurt. What’s the routing number for FNB?i tried to search for it but I could find routing numbers go first national banks in US.can you help me? Hi Kurt when i click on withdraw funds its asking for a US bank account? do i complete my FNB details there? No. Please follow the tutorial following beginning at step 1. You should inquire with Shyft Forex whether that is possible or not. I have an issue so i set up my online banking profile on fnb since i am not a fnb customer, but whenever i try link my fnb acc with my paypal acc it says i am unable to perform the following because FICA requirements are outstanding. How do i fix this? You will have to go in to an FNB branch near you and submit those outstanding documents. You should contact both FNB and PayPal to resolve the matter. After nearly exhausting my “healthy dose of patience” i finally linked the account. But now paypal will not allow me to transfer the money i have with them because they say my bank is declining due to insufficient. how much does it charge? and do need to have money in the fnb account? if so how much? Are you trying to purchase something or are you trying to withdraw your PayPal funds to FNB? 1. You cannot link any South African Bank Account to PayPal. 2. You can only link a US Bank Account to PayPal if you have one – Use your US Bank’s Routing Number and Account Number to link the Bank Account to PayPal. 3.3 Do not click on the FNB Call Me Back link. After completing FNB’s Call Me Back form, they will email you; however, they will not call you back. 4.1 You can link your FNB, Capitec [and other South African Banks] Credit Cards to PayPal. 4.2.1 You will have to confirm your Credit Card, with a minimum of R40 in your account. 4.2.2 PayPal will refund this to you within 24 hours [if you bank with Capitec], and in about 3 days [if you bank with FNB]. 4.3.1 You will then see a 4-digit Confirmation Code on your Bank Statement – under your Pending Transactions – which you will then submit on your PayPal account. 4.4 That will complete the linking of your South African Credit Card to PayPal. 5.1 You will then create the FNB Account, and link your South African Credit Card for PayPal withdrawals into your Bank Account. 5.2 You will have to select your Bank Account of choice to transact on PayPal [Any South African Bank Account]. PS Thereafter withdrawals will take up to 7 days to be transferred from PayPal into your Bank Account. Blessing or Kurt please help. I have a global account with FNB. I bank with them. I would like to transfer my USD currency from PayPal account to my global cheque account with FNB. 1. Is this possible? I do not want my funds converted AT ALL. 2. If this is not possible, kindly advise if there are other options for me to get my currency from PayPal account to FNB global account. 3. Again, these funds will remain in USD. I do not want it converted to ZAR at all. If anyone has ever had this issue. I got my documents validated. I got so busy with work I forgot my password, so I tried to reset it.I then got the below. I have read the comments above with regards to that you must link a credit card to PayPal in order to withdraw the funds. Can I link my woolworths credit card(they are with ABSA)? or should I use my Capitec credit card?